Nungar Trading supply country lifestyle clothing including, hats, boots and coats. Ever had to stop what you were doing because it started to get dark and you either didn't have a light or a spare hand to hold it? Australian Hats is a leading Australian retailer and distributor of quality Australian made and designed hats, Oilskin coats and accessories. 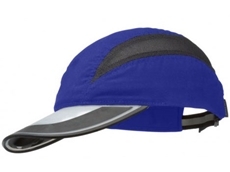 10/08/11 - The SLC 410 is a sleek, low profile style ventilated cap. Available now from Rural Outlets, it has fine mesh along the length on both sides. 16/06/09 - For the past 20 years, Port Phillip Shop has, supplied smart casual, eye-catching clothing along with business and corporate clothing embroidered with the customer’s logo. 11/07/08 - Goodwoods Saddlery offers a wide range of training equipment such as training leads, web lunge reins, PVC track breastplates, anti-gall lunge rollers, backstitched breast collars and cable core bosals. 10/07/08 - Goodwoods Saddlery specialises in supplying a wide range of goods such as boots, bridles, reins, saddles, coats, hats, pants, belts gifts and accessories.